Hiking in Branson can give you a rewarding experience that can help revitalize your body and mind. Hiking in a clean surrounding is excellent for your lungs and can also help give a great relaxation to your mind. A nice hiking activity in a place that has a clean and fresh air is an excellent form of exercise that can help energize your mind and body. When you are hiking in Branson during autumn season, you will be amazed to see colorful foliage that mother nature has to offer. In order to make your hiking experience look great and comfortable, you need to plan for it and be prepared. Your dress should be appropriate for the existing weather conditions and you should always carry water with you. The following guide will provide you vital information that you need to know regarding hiking in Branson in order to make your adventure enjoyable and safe. Water is an essential item that you need to bring when you go hiking. You need to bring enough water for your entire adventure so you can avoid dehydration. Although the streams, rivers, lakes, and other bodies of water in Branson look clean, you don’t need to drink them as they could be contaminated. If you commit yourself for a whole day hiking, you should bring a daypack where you can place all your belongings. Taking with you a compass, a map and guidebook are vital items that can help guide you on the right journey to and from your destination as you do not want to get lost while hiking in Branson. 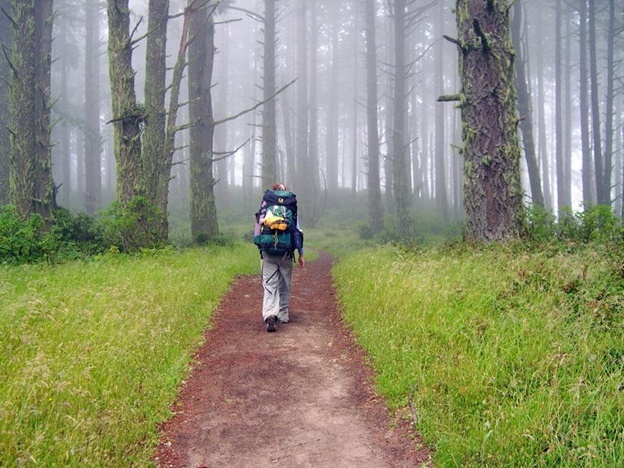 Other items that you need to bring to make your hike safer and more comfortable include first aid kit, insect repellant, a hat, sunscreen, a raingear, toilet paper, a whistle, a knife, matches, food and a flashlight with extra batteries. One of the most important items that you should not forget when you take a hike is a sturdy pair of hiking boots. The boots will give you a comfortable support for both your ankles and your feet. Wearing good boots can help prevent injuries such as twisting an ankle. If you are hiking during the day, use a boot that is light to medium in weight as this can provide you with both the necessary flexibility and support. Choose a boot that is five to seven inches in height that has a rugged sole for good traction. Hikers may need to use different types of clothing with various layers that are appropriate depending on the weather conditions of the place. For hiking in cold weather, you need to use clothing with a base layer such as thermal long underwear or a synthetic pair of shorts and T-shirt for warm weather. So, if you want to experience a great hiking adventure during autumn season in Branson, make sure you have all the things that you need to make your hiking activity comfortable and enjoyable.